The following interview with His Eminence, Archbishop Mark of Yegoryevsk, offers a frank and revealing look at the challenges and temptations faced by clergy in contemporary Russia. While of specific interest to those wishing to understand the state of church life in Russia today, many of His Eminence’s remarks can easily be applied to other situations and circumstances. Anna Danilova, editor-in-chief of Pravmir.ru, conducted the interview. 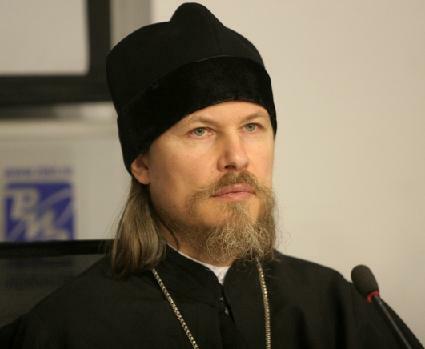 Vladyka, to begin at the beginning, what is the greatest concern regarding today’s priests? We see a reduced desire for pastorship among active and successful people. The people who go to seminary are often from disadvantaged families and rural parishes, where life is hard, pay is limited, and families are broken. Why do active and successful people not become priests? The cause lies in the general atmosphere of life and in the values that are foremost in society. Recently, while speaking with a museum guide, the conversation turned to romanticism. She said: “I recently asked a group of schoolchildren who romantics are for them. And I heard an answer that astonished me: romantics are people who work for free.” Not a word about optimism, interesting challenges, accomplishments, or struggles. This is the atmosphere of contemporary society. The priesthood is not attractive to everyone, because there are different goals and often a low standard of living. There is great variety in how priests live today. The social stratification of the clergy is an acute problem today. Many priests lead a very modest life and receive very little money. One priest (he is now serving abroad), in reply to my questioning, said that in Russia, in a provincial town, he received 2,000 rubles [$70] a month: 500 [$20] for teaching in seminary and 1,500 [$50] for serving in a church. Needless to say, such an amount is extremely little for a young man who needs to support not only himself, but also his family. On the other hand, there are some real sybarites among the clergy. They have an inflated standard of consumption: they think that a priest should dress well, drive a good car, and vacation abroad in prestigious locations. The general pursuit of money and prosperity is not alien to priests. All this causes people to be surprised or disappointed. Have a listen to conversations among clergy. What are they about? About what honoraria they received for services of need [treby] and what salary they receive from their parish. Unfortunately, this is not uncommon. It is very difficult to reform a consciousness that has been formed under the influence of the values of this world, of television, and of the mass media. It is not easy to free oneself from these stereotypes. But something is being done. 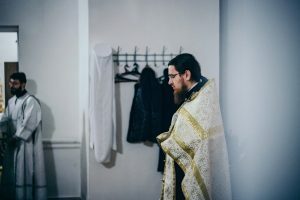 For example, a document is now being prepared within the framework of the Inter-Council Presence [of the Moscow Patriarchate] that emphasizes the need for disinterested service. It is important to communicate to seminarians that the desire for enrichment is an obvious sign that one is not called to the priesthood. Of course, these are just words. But the future pastor should always bear them in mind. What if, all the same, someone gives a priest a very expensive gift, such as a Mercedes-Benz 600? Can he accept and use it, or should he trade it in for a more inexpensive model? I cannot claim that I have often heard of priests being given Mercedes-Benz 600s. Perhaps there are such cases, but they are very rare. It happens more often that priests beg for such a present or simply greatly encourage such an idea. Of course, cars are given to clergy, but not such expensive ones. A reasonable priest will not drive a provocatively expensive car – unfortunately, because they are more visible. How one’s house is furnished is not visible, and not everyone knows what kind of apartment a priest lives in or how much it costs. But a car is something that everyone sees. One is judged by one’s car, of course. I recall how a few years ago, when giving a talk to the police in the northwest, someone said: see, you all drive expensive foreign cars. I said: “Look, I drove to you in a Volga!” By the way, priests who can be accused of luxury, as a rule, do not focus on sacrificial pastoral service, do not have many children, and have from the very beginning striven for acquisition. The root of the problem is the absence of self-sacrifice and the corrosive influence of an environment destructive to man, one that gradually draws his attention exclusively to certain attributes of life and to prosperity, and not to the essence of his calling. What else can alienate someone from the Church and from priests? People are confused when they do not see a difference in principle between a clergyman and a worldly person, when priests are too worldly. What does “too worldly” mean? For instance, instead of inviting parishioners to pray or to go on a pilgrimage, he asks them to a fashionable picnic or engages them in conversations not about the salvation of the soul, but instead in ordinary, everyday conversations about everyday topics. For someone who is not churched, or little churched, this creates a justification for his position in life. Why aspire towards something if priests are just like everyone else? Why do I fast if the priest is not fasting? Why do I not drink if Batiushka is already on his second glass? How will I refrain from speaking ill of people and from hypocrisy if Batiushka is angrily speaking ill of somebody? On the other hand, there should be no artificiality in church life. It is impossible to speak only about spiritual issues. As such, one can sometimes find the opposite case, when someone begins to play in spirituality. What does “play in spirituality” mean? 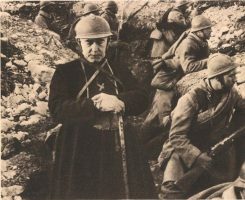 A priest begins to make observations in a particular tone, as if he were a super-holy person: so, you were not married in church, and you smell like tobacco, and you were late to the service yesterday, and so on. When a priest holds conversations about spirituality that are not backed up by his own life, then that is Pharisaism. These conversations are motivated not by care for the salvation of the soul, but by a desire to draw attention to oneself, a desire to please people, which includes a desire to convert these conversations, and this attention to oneself, into some material form. When this is done deliberately and conspicuously it causes people to become dismissive. I remember how the wife of one well-known person spoke disparagingly about a well-known clergyman, calling him an actor. People sense falsehood and pay attention to how appropriate a priest’s behavior is: how natural it is, how well it corresponds to place and setting and, most importantly, how much it springs from the human soul. I cannot agree with this statement. People characteristically praise their own and criticize that which is other – although cases of cynicism can be found everywhere, including among the Orthodox. I was once told about something that took place in an Orthodox school a few years ago. One person, a graduate of the Bauman Technical University, went to take a test administered by two teachers from a secular school. They asked him: “Where do you work?” At that time he was short on money and having difficulties, so he was working somewhere as a loader. Hearing his reply and eyeing him with a contemptuous gaze, they said: “That much is clear.” Moreover, they did this in his presence. They did not know what kind of education he had or what the circumstances of his life were. They simply humiliated him in front of everyone. After such a flogging he quit his studies. People become cynics when the atmosphere of life pushes them in that direction. The atmosphere of life in the Church is different. It does not dispose one towards cynicism – although there are cynics among the servants of the Church. But they, as a rule, are forced to mask their cynicism. Otherwise they would simply be left in isolation. Being a cynic is easy in a certain sense, since it does not require one to involve one’s heart in issues or concerns. But it is frightful, and it is destructive to the Church. You put it very interestingly: “not involve one’s heart.” Is this what happens when ministry becomes work? This is not the case? Of course, this is not the case. Woe to the priest who sees his ministry as such. Is this possible? After all, there are elementary psychological defense mechanisms. When you go out to read a lecture for the first time, you are scared. But when you go out the 1001-th time, it is already completely different. The ambo and the rostrum are two different things. The very atmosphere of the divine services, the prayers, the people who are standing and waiting for a word – this all creates an atmosphere that is difficult to get used to, and to which one should not try to get used to. On the contrary, one should try to kindle within oneself the feeling that each time this will be an event and not a routine; that one cannot give a traditional, memorized, or already customary word of instruction, but that this should be a creative event of sorts. I think that one needs to separate the intellectual and emotional components. During a sermon people pay attention not only to the words, but also to who is speaking and what is being said. One’s person’s intelligent and proper words will be lost and forgotten, while the simple words of another person will remain with one for life, etched in the memory and remaining in the heart. Vladyka, how do you assess the development of parish life in the past ten or twenty years? The Patriarch says that there are two criteria for evaluating a pastor’s “effectiveness”: how many of the people he Baptizes go to church and how many of the couples he marries do not divorce. What matters of spiritual fathership do you see as the most important? One can talk about the criteria put forward by His Holiness, but their application depends on many conditions. Sometimes a priest is good, he works hard, but is incapable of overcoming human inertia. The most important thing is to have a proper, harmonious, and truly spiritual relationship between pastor and flock. More and more churches are being built or restored. It has become possible for people to choose a church and a priest. People go where the priest is an image of true pastorship. We frequently repeat these words without giving though to their meaning: it is no accident that Christ spoke precisely about sheep. I have more than once had the opportunity to observe these animals in real life. Sheep are modest, almost timid animals. They will not approach simply anyone. They go only to someone who will not hurt them and who feeds them. This is the first thing that should be remembered. A priest should not dictate his will to people. It happens that a priest will impose his services. He aspires to become a spiritual father, inviting people to have Confession with him, and creating a sort of spiritual army out of his flock. This comes about not from the desire of the people themselves, but thanks precisely to his personal activity. I can cite no small number of such cases. I remember a case when a man once went to a convent with his wife, and the Abbess immediately said to him: “You did not have a church wedding? Fine, have a church wedding at once!” The man was taken aback: they got married in church, but there was the feeling that all this had not been entirely proper. It is important that everything should always be done voluntary. It can happen that a priest can begin to scare people. This raises an important question about the practice of spiritual fatherhood, of how we attract people to Christ. Bringing people to ourselves rather than to Christ is dangerous. A priest from Russia visited a European country to care for his spiritual children there. A small community was even formed. There might seem to be nothing wrong with that. However, he continuously repeated: “The priests who serve in your country are graceless and spiritually weak. Give me commemoration sheets, and I will pray for you. But if someone is disobedient, I will stop praying, and serious illnesses will overtake him.” His spiritual children collected donations for him, and made pilgrimages to see him. It was only after several years that some of the parishioners “saw the light.” For many this was a severe test of faith. Can one formulate basic rules of conduct for the behavior of a priest with parishioners? First of all, of course, priests should understand that people come to God, and not to a priest; there should be no cults of personality in the Church. A pastor should not be dominating; he should not suppress the personality of parishioners. Second, a priest should not scare anyone under any circumstances. Once a scared mother came to me with her daughter. It turns out that a priest had told the daughter in admonition: perhaps you will be run over by a car. And then she began to be scared to cross the street. 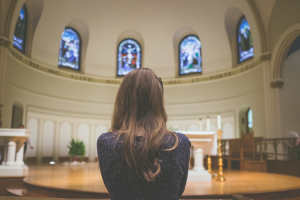 It is important that a priest should explain spiritual truths to parishioners, encouraging them towards Christian life, but without forcing them. He should teach them to live in a state of freedom and responsibility. And, of course, it is important that a priest’s main purpose be care for the soul, and not for his pocket. When asking priests about the results of dividing dioceses, I frequently heard: “Fortunately, just as we had not seen the bishop before, so now do we not see him either.” What can you say about such opposition between priests and bishops? First of all, that witnesses to the fact that there is an abnormal or one-sided relationship. Frequently, the cause of strife lies in the material realm. Sometimes a priest thinks that the parish is almost his fiefdom, his property. Was he transferred or left? He was transferred some time later. There are also cases of a bishop treating a local priest unfairly: the impression arises that a parish’s income is too large, when in reality it is not. Understandably, money is needed everywhere: for the upkeep of seminaries, for social activity, for the functioning of the diocese, and so on. Yet sometimes the unfair treatment of a priest by the bishop can arise – which is also fertile ground for conflict. It is important that a priest feel that the bishop treats him respectfully, that the bishop is defending him. It is also important that a priest himself perceive the bishop as his father, and not as someone interfering with his personal wellbeing. One needs to establish the proper relationships among people. Establish them how? Is this realistic? Of course, it is realistic. Here it is important that everyone understand his place and his measure. A bishop should understand the limits of his dominion, and a priest should understand that the interests of the Church are primary, and that the interests of family and prosperity are secondary. A priest’s material interests should not be detrimental to church life. Of course, “material interests” sounds very mundane – but all the same, what if one wants to eat! And what about children? I understand this situation very well, because money is also needed for the growth of church life. Priests need money not only to acquire an apartment or a car, but also for repairing the church and supporting his assistants. Money is needed. However, it possesses an extraordinary ability to corrupt people. No one ever has enough money – even more so in the Church. But I would not say that this is always a bad thing: it is better to have a bit too little than a bit too much.